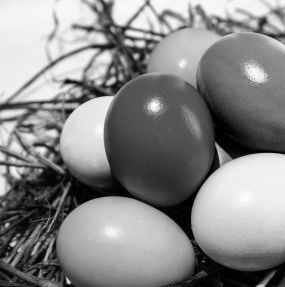 An Easter resurrection for Australia’s innovation patent system! For the last year, one of the most discussed topics in Australian IP circles has been the proposed abolition of the innovation patent system – Australia’s second tier patent system. This controversial measure came about as a result of a Productivity Commission recommendation, which the Government swiftly supported in August 2017. Shelston IP reported yesterday that the relevant legislation, the Intellectual Property Laws Amendment (Productivity Commission Response Part 1 and Other Measures) Bill 2018, would be introduced into Parliament on 28 March 2018. However, when the Bill was introduced, the section dealing with the abolition of the innovation patent was not included. The proposed abolition of the innovation patent system appeared to be exclusively based on an economic analysis of innovation patent use. Moreover, the Productivity Commission seemingly ignored submissions from several industry groups, such as the Institute of Patent and Trade Mark Attorneys of Australia (IPTA), which expressed a common concern that the demise of innovation patents would be detrimental to innovation by Australian small and medium-sized entities (SMEs). For several months, IPTA has been active in coordinating discussions between IP Australia, Government Ministers, the Opposition Shadow Minister, Cross-bench Senators and innovators from Australian SMEs in a bid to save the innovation patent system. The decision by IP Australia to undertake further consultation targeted at better understanding the needs of Australian SMEs, rather than simply abolish the innovation patent system will no doubt be welcomed by Australian innovators. Shelston IP will, of course, keep you promptly advised of developments.